Email is still one of the world’s most powerful business communication tools, surpassing social media and other emerging channels. However, the novelty of receiving emails is long gone, so senders need data-backed strategies to give them a competitive edge. 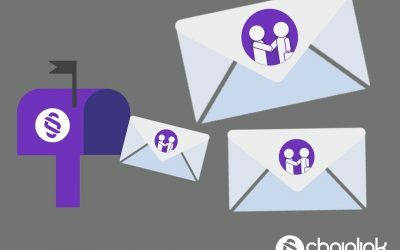 Since email design and deployment are held at a high standard nowadays, it’s important to be aware of these components of a successful modern email marketing campaign. 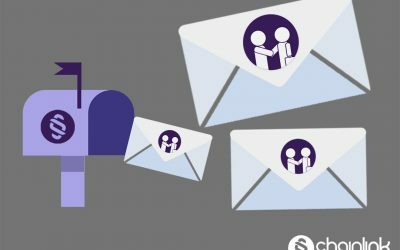 If you want your subscribers to receive personalized, enticing emails that they actually want to open, you need data-driven email marketing tactics. Follow these tips as you play around with your email copy, design, images/graphics and CTAs to improve your email efforts. By the end of this post, you’ll be empowered to take your email to the next level this year. Creating the ability for subscribers to share email content across social media platforms should be a priority. One common email marketing practice is to send messages encouraging recipients to refer a friend or redeem a “family and friends savings” offers. Social media integration is even more impactful. Subscribers are more likely to share emails using social media channels. Although the great debate rages on about email versus social media being more effective overall. The combination of these two channels is usually the best course of action. Social media can help complement your email campaign by helping you grow your list and gain more . For example, even if just one single subscriber sharing your email with their personal network of Facebook friends and Instagram followers gets hundreds of new people to see your company/brand/product etc. If every one of your email subscribers promote your business, think about the chain reaction it could have. If you want to increase your email channel’s value, social sharing is an incredible option. It gives you the chance to boost clicks and and generate more revenue. Also, individuals who aren’t on your email list could be encouraged to sign up (or better yet buy your product or service). You can either have a dedicated campaign or share a CTA in every message you send. Also, you can always add social media icons to the footer of your emails, or include standard CTAs such as “Follow us on Twitter”. Throughout these lead generation endeavors, determine who your most loyal and valuable customers are. Naturally, individuals who subscribe to your emails and follow you on Twitter are going to have a higher value than those who spend 30 seconds on your website. Make it easy for those who are interested in your company: provide every possible signup form and other method to quickly capture email addresses. People are increasingly gravitating to mobile devices, so all of your email templates need to be mobile responsive. Users are a lot less forgiving when an email campaign isn’t perfectly legible and aesthetically pleasing on their smartphones or tablets. Mobile responsivity should be about more than just checking off a requirement. Having responsive emails is about user experience. Invest the time and energy to develop a general format of a super clear mobile responsive email template that you can edit and apply to a variety of purposes. This can be a huge time saver. Then, you can spend more time creating extremely personalized images and content for your subscribers, and also allow for great opportunities of interactivity. Most importantly, develop a system for tracking the data and analytics you gain from your campaign, and use that information to design even better email programs for the next time. You can differentiate how your subscribers’ behaviors are similar or different for those opening on mobile versus those opening on desktop. Then, you can make the necessary adjustments to optimize future email efforts. Remember, the vast majority of mobile users will delete a poorly formatted email automatically. Think about yourself. Chances are your inbox is also oversaturated and you’re always looking for excuses to purge emails. Don’t risk lower conversion rates and lost revenue by making your messages difficult to view and read on mobile. Make the CTA just as obvious and the graphics just as bold and appealing on mobile as they are on your desktop. A super clear CTA can make a significant positive difference in boosting conversion rates. Whatever you do, don’t make links tiny and annoying to click on. The subject line is the starting point of everything. Some email marketers scoff that the importance of having the optimal subject line is overemphasized, but it’s still a crucial part of a data-driven strategy. Testing your subject line using A/B testing can help you evaluate and determine how to drive the highest customer engagement. There are plenty of tools to help you accomplish this in a streamlined fashion. For example, Chainlink Marketing Platform’s automation tools enable you to increase conversions by figuring out how to create the most meaningful customer interactions via A/B testing. When you think about your inbox and the emails you choose to open, you need to consider what makes their subject lines different. The more specific you are, the better. If there’s a promotion in the email, tease it or reveal it in the subject line. Anyone would be more likely to click on a email that specifies “50% off everything storewide” versus “huge sale storewide”. When your recipient has a crystal clear idea of what’s inside the email, it’s more likely they’ll click on it. It’s always better to err on the side of brevity so your subject line doesn’t get cut off. Also, as tech research firm Forrester confirms, focus on emphasizing the value of the email to the reader rather than just describing the content of the email. Using a subscriber’s name or alluding to his/her location, also increases click-through rates. 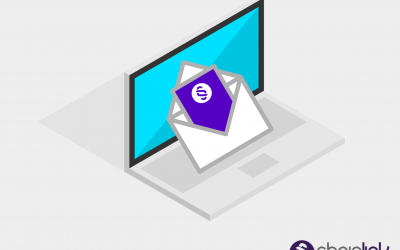 For many years email marketers have struggled to find the right balance when it comes to composing copy that their subscribers actually want to read. You want the body of your email to be succinct, conversational in tone, and spark interest. You don’t want your messages to be too short and seem spammy or lazy, but you definitely don’t want to write a novel either. When it comes to creating clear and enticing messaging, never take shortcuts. The happy medium is 50-125 words. Utilizing customer data which is stored in an organized data warehouse is the key to creating an effective email body of text. 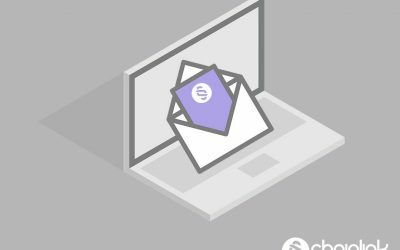 For example, the data warehouse of the Chainlink Marketing Platform provides clear access to the information that allows you to write more concisely and impactfully in the body of your email. Knowing your audience is more than half your battle. A short, personalized message will always perform better than convoluted copy that comes across as self-aggrandizing nonsense. The more time you take to analyze your message and trim it to perfection, the better. Taking a close look is the only way you’ll gain the insight you need to optimize your messaging. There are a multitude of ways that brands design emails to be interactive with their subscribers. Whether you’re asking for an opinion with a multiple choice poll, or providing a full-blown shopping experience, creating experiences right in a subscriber’s inbox is interesting to recipients and pays off. Even small interactive elements in the design can make a difference and increase your email’s appeal. When a subscriber rolls over an image, make something happen. For example, when someone rolls their mouse over the center image in the email, it disappears and reveals a discount. Even having a slider that requires a mouse click or scroll can grab a recipient’s attention. Amongst the monotony of static, repetitive emails, yours could stand out in a positive way. Or, with a rotating banner, the images could just rotate automatically adding a dynamic element to the email. Also, accordion menus add a dynamic feel to an email. Drop-down options in an accordion menu format allow marketers to include more content in their emails while keeping a consolidated design. When you take into account all of the time you spend putting together an amazing experience, it can all be negated if your interactive elements look slightly off. Being a perfectionist is important because people don’t have the attention span to wait for you special effect to load. Test your emails before hitting send. Email marketing is ever-changing and improving like other digital marketing channels. Data oriented strategies are the only strategies that yield real results. Test-and-learn tactics can reveal when and how customers engage with email, and customer journey analytics can reveal a wider range of next-best actions that can prolong the relationship. 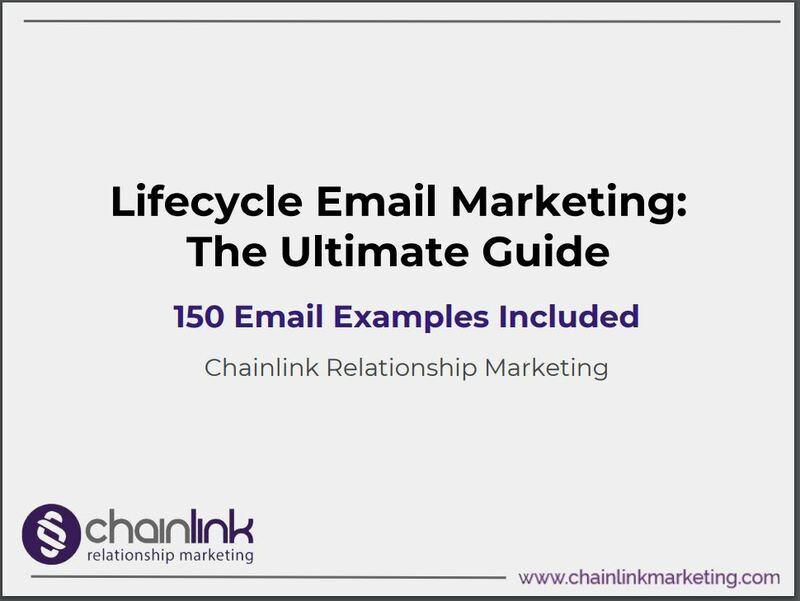 Want to learn more about what Chainlink Relationship Marketing can do for your email marketing strategy?